Contest: Two Copies of GEOM Are Up For Grabs If You Can Find Them! Two Free Games Are Up For Grabs! 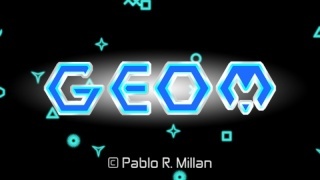 We have hidden three GEOM images called Contest Pieces in reviews not related to the game and the first two people to find all three out of place images and let us know where they found them in our comments below will win a North American download code of the recently released Wii U eshop title! Good luck and have fun! Re: Contest: Two Copies of GEOM Are Up For Grabs If You Can Find Them! I found one of the images. Wow! Two giveaways/contests in one day?! This website is very generous, don't you think? This contest has no expiration so if you find all three images let us know to receive your free download code. I've only found two images.